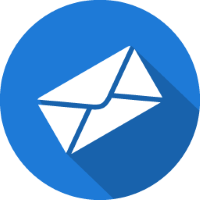 Specialized Email Hosting will get you top-quality service, unrivalled security and features you didn't even know existed. Give your business email the professional edge it deserves, and waste no time dealing with spam. These cheap email hosting services are the best around, read our reviews and get the best email hosting solution today! In a nutshell, Email Hosting is a service provided by web hosting companies wherein they rent out portions of space on an email server, offering a premium alternative to free webmail services, which are often slow, ineffective and advertisement-driven. 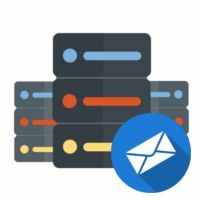 Also known as Business Email Hosting, it is a professional and reliable solution ideal for small-medium size businesses (SMBs) who generate a lot of email traffic, although very large businesses often prefer to host their own email in a Dedicated Server. 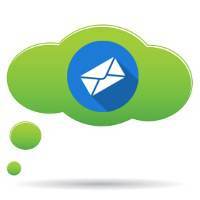 Business users can potentially benefit a great deal from an Email Hosting plan. Most noticeably, it enables you to get an email address based on your own domain - for example yourname@businessname.com - which will help to make a highly professional impression on anybody who contacts you. Having a good Business Email solution is important. It will be used to interact both internally, between different sections or people in your business, and externally, with customers, clients and other businesses. It is therefore essential that your Email Hosting is professional and reliable, so it won't let you down at a crucial moment. If your Email Hosting service does experience a glitch, or downtime, you need it fixed and operational again as soon as possible. The best Business Email Hosting providers recognize the importance in maintaining high standards of customer service and technical support to their clients, and make it a priority to ensure that you are completely satisfied with the provision at all times. I already have free email, what's the difference? Support for a large number of accounts - for example sales@yourbusiness.com, contact@yourbusiness.com, themanager@yourbusiness.com etc. 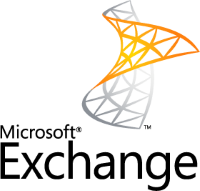 Microsoft Exchange Server is the industry leader in the provision of solid Business Email Hosting, and helps countless companies to store their documents, emails and calendars. Setting up your own Exchange email system can be a lengthy process, which is why many businesses prefer hosting plans such as those in our list above. 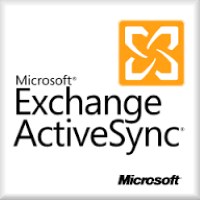 Should you opt for Microsoft Exchange email plan, an 'Exchange only' plan with ActiveSync as an option should be suitable for most needs. The provider may also have a Microsoft Partner Level, which is worth asking for, as well as the levels of redundancy in the infrastructure, and the location of the backup servers. ActiveSync is a data synchronization application designed to handle your email, documents, calendar and contact list directly from your Email Hosting account. It is compatible with most mobile devices, including Android and iPhone, and supports 'Push E-Mail' - the service which prompts your phone to fetch a new email from the server and notify you about it. 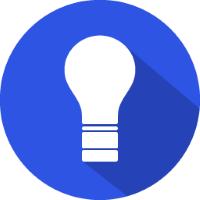 Exchange ActiveSync policies can be set up on the Email Hosting server and used to secure mobile devices by deactivating features or remotely deleting data - this is especially useful if a company phone is reported lost or stolen. When you get a professional Email Hosting service, the hosting provider will manage, maintain and operate the server hardware and software - including upgrades and updates. Anti-virus protection and spam filtering are standard features on the server side. What you get is standard POP3, IMAP or SMTP email that works with all standard email software (also known as 'email clients'), including Outlook, Mac Mail, Thunderbird etc. Getting your emails on your smartphone, be it Android, iPhone or Blackberry, is a snap. Is Business Email Hosting right for me? If you think specialized Email Hosting is more than you need and you can get by with a free email solution - check out some of the other types of hosting plan that are available, particularly Cheap Web Hosting and Virtual Private Server (VPS). However the simplicity of implementing Email Hosting, combined with its undeniable benefits in providing your business with a professional, secure and reliable way to contact clients and competitors alike, make it a highly worthwhile option to pursue. If you want to get a domain first, you can use our Domain Search tool to see what is available. Get your Email Hosting plan today!